50 of the greatest stars! 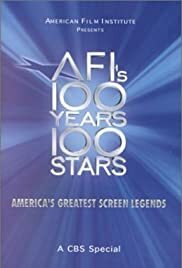 Not as good as AFI's 100 Years, 100 Movies, but this documentary still has some interesting features. However, I disagree with many of the choices made. I don't believe that Fred Astaire, Gene Kelly, Vivien Leigh, Claudette Colbert, Grace Kelly, and Ginger Rogers should have made the list. 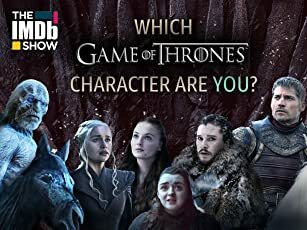 These are all great actors, but to me there are far superior actors such as Paul Robeson, Deborah Kerr, Gloria Swanson, Gloria Grahame, Sydney Greenstreet, Myrna Loy, William Powell, Jean Arthur, Mary Astor, the three Barrymore siblings (John, Lionel, Ethel), Walter Huston, Richard Burton, Montgomery Clift, Bing Crosby, Rosalind Russell, Olivia de Havilland, W.C. Fields, Bob Hope, Boris Karloff, Charles Laughton, Harold Llyod, Peter Lorre, Joel McCrea, Fredric March, Vincent Price, Anthony Quinn, Claude Rains, Thelma Ritter, Mickey Rooney, Jane Russell, Peter Sellers, Norma Shearer, Frank Sinatra, Lana Turner and Natalie Wood. The bottom line, is that AFI should have picked the top 50 actors and top 50 actresses instead of 25. This way, many more legendary actors would have been included.